Poland has very quickly exceeded Western Europe in morality. On top of some of the most strict abortion laws on the continent, the formerly communist-controlled nation has further solidified its Christian nation cred by voting to proclaim Sunday a day of rest and phase out shopping on Sunday by 2020. PRAISE GOD! The SPIRIT of POPE ST JOHN PAUL II continues to live on in Poland. For Christians, Sunday is a day of rest since God rested on the seventh day after creation. Sunday, historically the “first day” of the week, became the “seventh day” and day of rest after the resurrection of Jesus Christ on Sunday. Catholic Poland is now ‘resurrecting’ that centuries old tradition, lost during the decades of Communist-Secularist paganism. The cessation of Sunday trade will not affect all businesses and will be carried out gradually. In 2018, stores will still be open on the first and final Sundays of each month. In 2019, on the last Sunday of the month. In 2020, most will be closed on all but eight Sundays. Shops staffed by their owners, gas stations, shops in railway stations will also be permitted to open on Sundays. The country’s Catholic bishops have praised the move, but say it doesn’t go far enough. 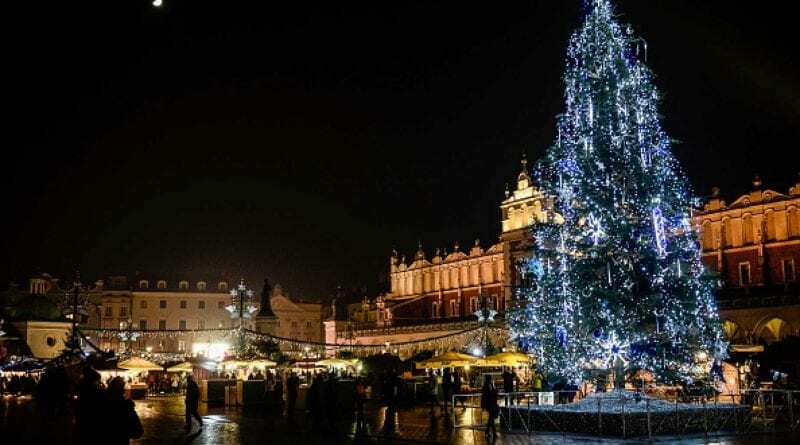 Praise God for these signs that Poland is regaining its Godly focus and Catholic traditions. Eternity and God’s “Immense Love” – Our Lady’s Two Powerful Christmas Messages to Jakov and Marija. Read them side by side today and keep them close to you. December 27, 2018 ryanmysticpost Comments Off on Eternity and God’s “Immense Love” – Our Lady’s Two Powerful Christmas Messages to Jakov and Marija. Read them side by side today and keep them close to you. 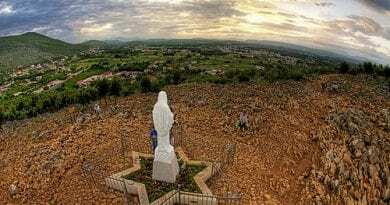 Medjugorje: As Catholics rip the Church in two, the faithful ignore the most investigated supernatural event in the history of the world. 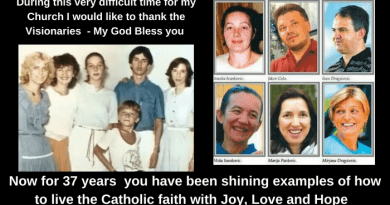 October 8, 2018 ryanmysticpost Comments Off on Medjugorje: As Catholics rip the Church in two, the faithful ignore the most investigated supernatural event in the history of the world. 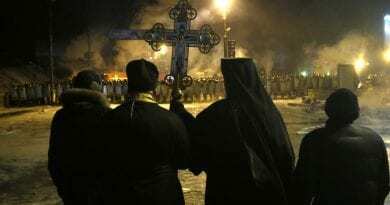 5 most famous and miraculous icons that Russians venerate…With Russia it seems there is no such thing as too many miraculous icons of the Virgin Mary. November 20, 2018 ryanmysticpost Comments Off on 5 most famous and miraculous icons that Russians venerate…With Russia it seems there is no such thing as too many miraculous icons of the Virgin Mary. In these difficult times for the Catholic Church I want thank the Visionaries. May God Bless You All…If this troubled world makes your heart sad here are two videos that will help the wounds. This is a promise.. AVE MARIA!! August 16, 2018 ryanmysticpost Comments Off on In these difficult times for the Catholic Church I want thank the Visionaries. May God Bless You All…If this troubled world makes your heart sad here are two videos that will help the wounds. This is a promise.. AVE MARIA!! 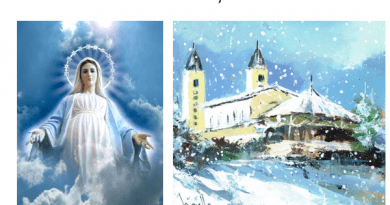 Medjugorje: 5 Points to Ponder and the Mysterious Date of March 18…”YOUR BATTLE IS DIFFICULT, IT WILL BE EVEN MORE DIFFICULT.” Cause for Concern? Queen of Peace Exclusive Report for Mystic Post on California Fire.. “Where is God?” Christine Watkins, reporting near the fire, offers answers. 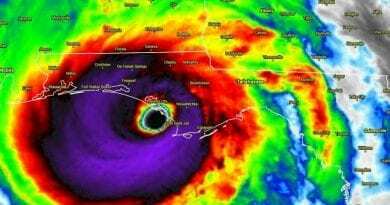 November 14, 2018 ryanmysticpost Comments Off on Queen of Peace Exclusive Report for Mystic Post on California Fire.. “Where is God?” Christine Watkins, reporting near the fire, offers answers. Russia, Russia, Russia… Is a Spiritual Dimension Behind the Obsession that Haunts USA’s Godless Media….”The West is abandoning God… what happened in the Soviet Union is now happening in America” Patriarch Kirill….Signs of Secrets Unfolding?